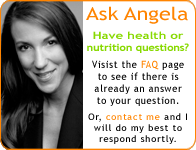 You are currently browsing the Nutrition Basics blog archives for the Developing Awareness category. The Independent Woman: Help…. Who Me?